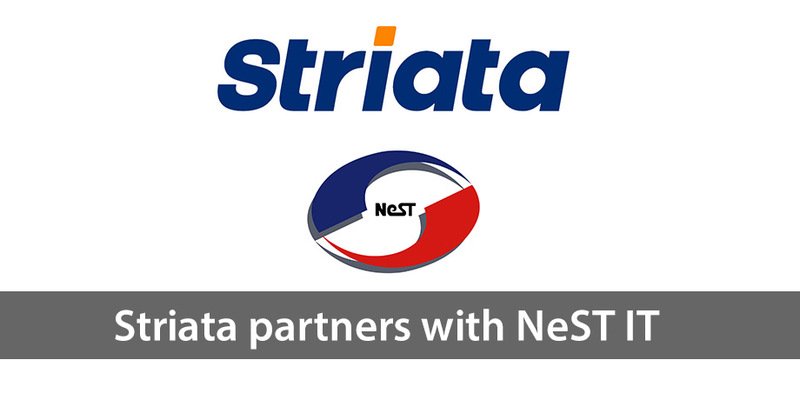 Striata has partnered with NeST IT ( a CMMI L5 certified company)- the premier software arm of NeST group that delivers IT, Process, People or Turnkey solutions to many large organizations in various industries globally. NeST IT will include Striata’s digital, interactive, secure document solution, which includes payment functionality, in its current offering to businesses in India and the Middle East. Striata’s secure document solution can be applied to any customer communication types. The interactive, secure PDF documents are delivered to customers via email. If they are eBills, customers can facilitate payment from within the bill. Striata understands security and data protection and designs documents in a way that makes the information useful to customers while also protecting their personal data. NeST IT’s solutions are technology and delivery optimized to drive up the ROI for its customers. “We look forward to building a strong partnership with Striata and working together to help organizations maximize paperless adoption, get faster payments, improve workflow efficiencies, enhance their customer communications and achieve significant ROI,” says Nazneen Jehangir, Executive Director, NeSTIT . “We look forward to working with NeST IT to help drive current and prospective customers in India and the Middle East toward their digital transformation goals,” concludes Russell.